The mission of CMSA is to advance the use of mobile technologies for medical, behavioral, social and public health research and promote collaboration among Institutes and ORUs in the Jacobs School of Engineering, the School of Medicine and the general UCSD campus, as well as Centers in the IEM, in these areas. CMSA’s efforts are crosscutting and intended to help ensure that the “whole” of the efforts of the IEM and the other units at UCSD is greater than the sum of the parts. CMSA will focus on systems-level approaches to health and healthcare where multiple levels and types of expertise in addition to engineering and medicine are involved, including qualitative, quantitative and mixed-methods research about how people use and benefit from mobile technologies. CMSA will develop and support a cadre of research-ready clinicians, behavioral, social and public health scientists at UCSD and Rady Children’s Hospital who conduct clinical trials and other studies that are based in part or in whole on the application of mobile technologies in health. CMSA will also focus on ethical, legal and social issues related to mobile health research and practice. This is a field in considerable flux at present with respect to areas of privacy, data ownership and sharing, and informed consent and other methodological issues that support the “24 X 7” nature of ubiquitous monitoring and interventions in health. Partnering with scientists and other scholars in social and cultural domains can help advance the use of new technologies and the data they create as well as lessen the likelihood of unintended consequences. An aging population is leading to increased numbers of individuals with two or more chronic diseases such as diabetes, cardiovascular diseases, musculoskeletal disorders, cognitive decline, frailty and other health problems. Elderly patients with multiple co-morbidities require up to 19 doses of medication daily and can see seven doctors across 4 specialties in any given year (IOM, 2012) These individuals do not do well with “one-off” solutions for specific medical problems. Rather, an integrated approach of monitoring and early intervention is required if healthcare is to be optimized. CMSA researchers will form interdisciplinary teams of engineers and clinicians who will gather requirements from selected high-value areas of multiple co-morbidities and develop integrated approaches for the management of concurrent disease states to include (but not be limited by) wearable sensors for physiological monitoring, physical activity and balance, cognition, social interactions, diet, sleep and mood. End-to-end solutions will be prototyped and tested in free living individuals to capture data for transmission to cloud-based platforms where predictive analytics and other analyses can be performed that in turn produce actionable information for patients and healthcare providers. The growing importance of patients with multiple co-morbidities and high-cost users of the healthcare system necessitates advances in home care systems and services. Health-related smart home technologies will become a multi-billion dollar industry as financial pressures mount to prevent initial hospitalizations and reduce readmissions to the hospital. Aligned with this is the need for systems to support spouses, children of elderly parents, and other caregivers as they help their loved ones age in place. This, too, is not a single “one-off” problem, but rather a many-layered systems problem that requires interdisciplinary solutions. CMSA researchers will work together to design, test and reiteratively improve health-related smart home technologies, interfaces and platforms. One way to accomplish this is to partner with one or more companies with an interest in this space, and to work with UCSD Health System to recruit clinicians and their patients who are willing to actually test prototypes of home care devices and systems. There is no substitute for actual user-driven testing and, as with the Precision Medicine initiative proposed by the NIH, basing this on willing volunteers can go a long way towards avoiding issues of data privacy and use in the context of this type of research. There is a great need for low cost, durable, flexible and easy ways to use mobile health technologies in resource-poor settings around the world. The wireless capabilities inherent in these technologies, combined with an expanding and increasingly ubiquitous telecommunications infrastructure is setting the stage for transformative efforts in preventive, diagnostic and therapeutic interventions that can reach everyone. CMSA researchers could partner with funders, governments and companies to develop and pilot-test these in any number of high-value areas ranging from maternal and child health to infectious disease to environmental monitoring to medical care. Ongoing support for CMSA will be sought from the National Institutes of Health, the National Science Foundation and other entities as appropriate. An initial opportunity is anticipated with the new NIH Precision Medicine Initiative that is expected to release its first round of RFAs in mid-Fall of this year. 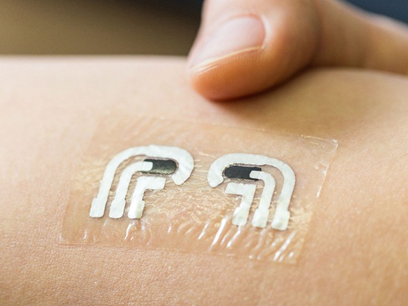 UCSD is well positioned to get in on the ground floor of this initiative given the expertise of the core faculty and researchers in wearable sensors for a variety of health and behavioral states. But this can only happen if we are prepared to submit proposals within the next 6-9 months. Downstream impacts of securing funds in the early years of this project could be substantial. Funds have already been committed by the Vice Chancellor of Health Sciences Office and Dean of Jacobs School of Engineering for one post-doctoral trainee each to initiate the activities of CMSA.